Insuremyvan.ie is not just about vans. We also provide comprehensive and competitively-priced haulage insurance to individual hauliers and haulage companies all over Ireland. Our commercial vehicle department has forged close relationships with all the major haulage insurance providers, to bring you the best cover at the best price. We cover HGVs (articulated lorries), rigid trucks, flatbed trucks, and more. Whatever your needs, we will deliver for you. Just contact our team for expert advice and a competitive quote. 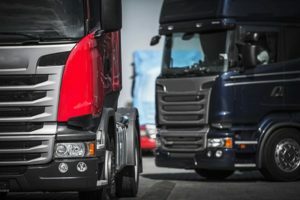 If you’re a sole operator, if your company has just one large vehicle, or if it suits best to insure your vehicles individually, then this is the best option for you. Choice of comprehensive/third party, fire and theft/third party insurance cover. UK and European cover available. Hazardous goods waste disposal insurance, including site clearance. Increased third party property damage limits of €6.5 million. Discounted camera costs from approved supplier. 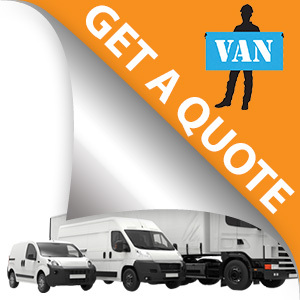 For a quote, use our fleet insurance quotations form. Select ‘one’ as the answer to the ‘how many vehicles?’ question. You will be able to specify HGV on page two of the form. 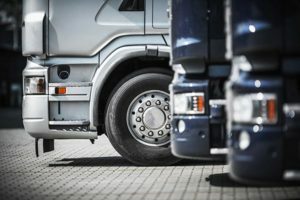 If your company operates a number of vehicles, seek a quote for fleet haulage insurance. You could be surprised at just how much we can save you. A fleet can consist of any number of vehicles from two upwards. It can also consist of a variety of vehicles – e.g. HGVs, rigid trucks, light commercial vans, and company cars. Protect your trailers too, with our trailer insurance policies. We can cover all trailers your company owns, as well as hired, leased and borrowed trailers. Our cover will protect all trailers against theft and accidental damage. Specified and unspecified trailer cover. Be sure to ask about trailer cover when you talk to our team about your haulage insurance needs. 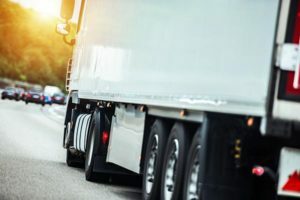 Depending on the nature of your business, your vehicles may haul hazardous goods – for example, chemicals or waste materials. This requires specialist insurance cover, and again, we can deliver great cover at great prices. Cover against clean-up costs in the event of spillage. Ireland and UK cover available. As a haulage operator, you have responsibilities to both your employees and the general public. We offer employers’ liability insurance and public liability insurance from rates as low as €1 per day. Get a liability insurance quote now, to see what we can do for you. Simply contact our dedicated insurance team if you want expert advice and great cover to meet your haulage insurance needs. Our In-House Senior Claims Manager, Gerard Carter, is available to handle any claims you may have. Gerard has many years of experience as a Claims Manager with some of Ireland’s top insurance companies. He will work closely with you, handling claims from start to finish, ensuring the appropriate settlement in a timely manner. Gerard has built up extensive knowledge and experience in the insurance industry and is fully compliant with all industry regulations.